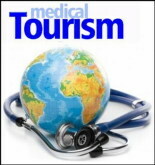 I am part of a research team from Simon Fraser University, near Vancouver, Canada, that is researching medical tourism – that is, international travel with the intention of receiving medical care. As you may know, international patients, including Canadians, are traveling to Barbados to engage in medical tourism. Many questions are raised by this process, including what steps Barbados has taken to encourage and regulate this industry, how this industry has developed in Barbados, what effects this industry is having in Barbados, how many Canadians are traveling to Barbados and for what procedures, and whether Canadians are investing in the medical tourism industry in Barbados.